Oil Eating Bacteria: Reductive Halogenase a Solution for Oil Spill Cleanup? Oil Eating Bacteria: The Answer To Oil Spills? Oil eating bacteria, or Reductive Halogenase, may be a natural solution for future cleanups of oil spills, new research claims. Oil spills, industrial waste and similar environmental disasters may now have an environmental answer. Scientists are mapping the enzymatic process by which organisms found far underground digest these aforementioned toxic substances, known as reductive halogenase. In fact, it is nothing less than an oil eating bacteria that shows much promise. Organohalides, their environmental “nasty” of choice is broken-down by a special enzyme that detaches the toxic halide molecule from the hydro-carbons. 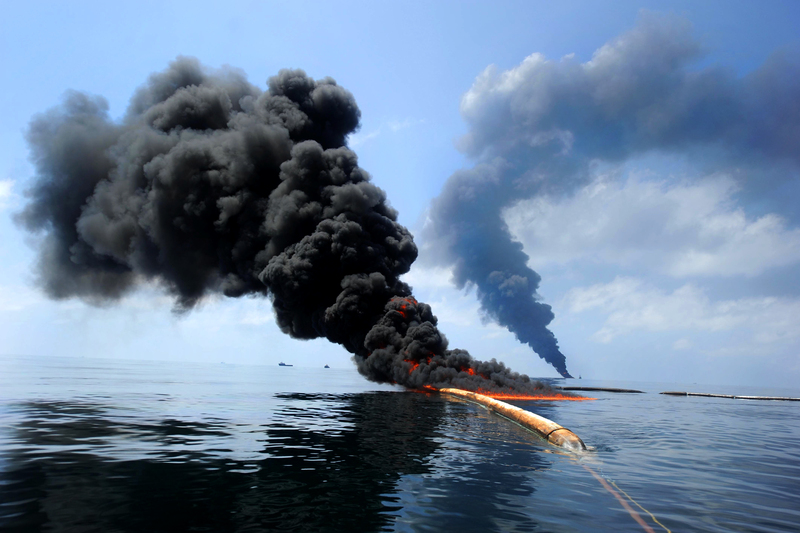 It’s called a reductive halogenase and organisms with the enzyme have already been relied on – in their natural habitat – to assist in clean-ups such as the 2010 Deepwater Horizon Spill. During that atrocity, they used 830,00 gallons of dispersant so the microbes could more easily tackle the spilled oil. Reductive halogenase is not yet experiencing widespread adoption for environmental cleanups. The enzymes limited use is due to it’s slow reproduction rate under lab conditions. Now, according to the journal Nature, that hurdle may be crossed. With the discovery of the reductive halogenase mechanism researches realized that vitamin B12 is necessary for catalysis. Knowing this important factor they can introduce the enzyme into other bacteria that are faster growing. Large quantities of oil-eating microbes may soon be ready for cleaning up our messes. Alcanivorax borkumensis is one of the naturally occurring bacteria that contain the enzyme capable of breaking down oil from fossil fuels as well other toxic industrial waste. To date, the oil-eating organisms have not been employed at the recent pipeline rupture off the California coast. Maybe now they will. For more information see The Smithsonian Magazine.